Products of the domain : P.Lancelot-Royer. The Maison Lancelot-Royer was created by Pierre Lancelot in 1960. Located in the famous village of Cramant, in the Côte des Blancs region, with a 5 ha vineyard. In 1996, his daughter Sylvie and his son-in-law, Michel Chauvet, took over the estate to bring their personal touch and make the quality of the Champagnes even better . The Maison Lancelot-Royer gives priority to quality in quantity, producing only 40,000 bottles a year, but with great care and passion. The cellars, sublime, are dug in the chalk mound just behind the winery: a specific well champagne! Cuvée des Chevaliers Brut grand cru - P.Lancelot-Royer. 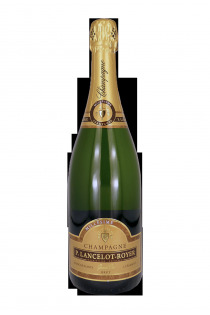 Cuvée Millésime Brut grand cru 2005 - 2010 - P.Lancelot-Royer. 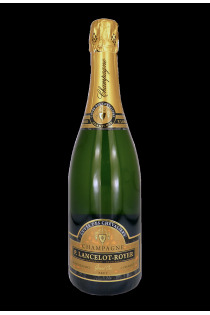 Cuvée Réserve Brut - P.Lancelot-Royer.